Our plant sale is another fundraiser held each May, just in time for spring planting. 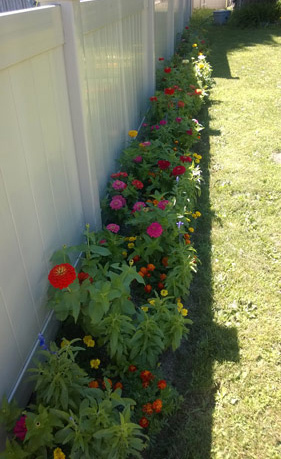 We sell lovely annuals like dahlias, zinnias, geraniums and impatiens, as well as hanging potted plants to serve as gifts for Mother’s Day. 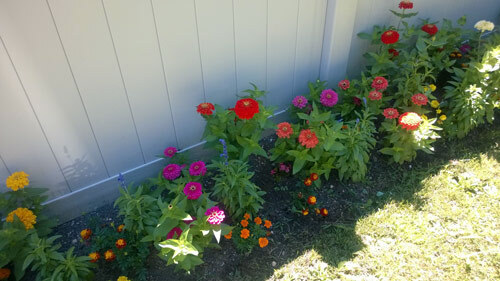 The distributors we use have made for many happy customers, as this photo of a member’s garden indicates.